This classic 2 Storey - 5 bed, 4 bath, 3,700 Sq. Ft. home is located on the best court in the popular Ridgevale Subdivision. Perfect for a growing family with a private backyard in a Bedford family neighbourhood. The home greets guests with a spacious entry. French doors with lead glass invite you into the formal living and dining rooms, providing an elegant setting for entertaining. The open living area with hardwood floors flows into an eat-in kitchen with high-end appliances, new tile floor, granite counters, computer corner and a family room with built in shelves and propane fireplace. The sunny breakfast nook opens onto a large deck that overlooks the perennial gardens. An executive office is perfectly located in the front of the home and a powder room, laundry room with access to double garage & cubby’s for the kids complete this level. 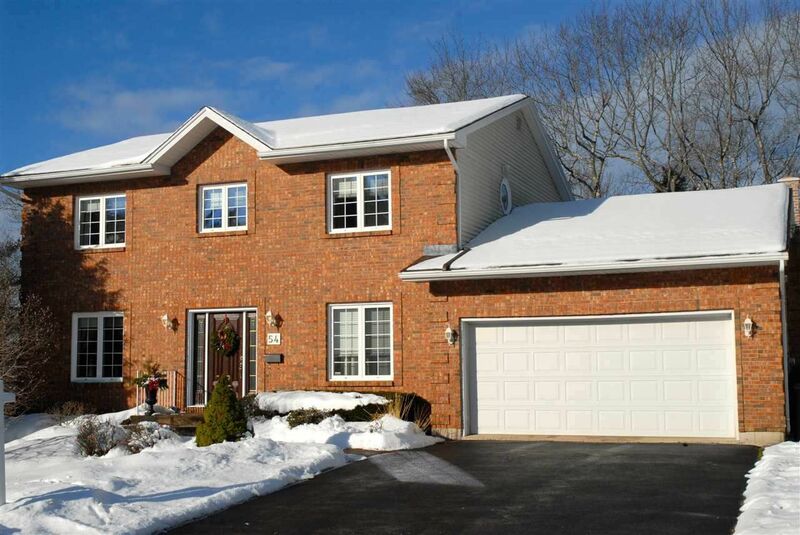 Wide hardwood staircase leads you to 4 spacious bedrooms. All closets have built in shelves and the Master boasts an ensuite with jetted tub HAS JUST BEEN RENOVATED, separate shower and a large walk-in closet with a window. Lower level includes 5th bedroom, large rec room with lots of natural light, full bath, utility room, storage room and 2 walkouts. Live on the most beautiful court in Ridgevale. This street always has plenty of kids outside playing hockey, basketball, hopscotch or riding bikes. It's just a short walk to French immersion schools, Library, malls or an evening out at local restaurants.